Rancho Ortega Blog discusses matters of public interest in South Orange County, including the communities of San Juan Capistrano, Ladera Ranch and Rancho Mission Viejo. The writings of Don Juan Ortega on the Rancho Ortega Blog are the personal views of the author. This blog is not authored by nor does it have any affiliation whatsoever with any other person, place or entity using the name "Rancho Ortega" (or any similar name). We have installed some new anti-spam software, and we are going to try again with open registration. Registration and sign-in information are available at the bottom of the far right column. As always, if you have any questions or concerns, you may email us at info@ranchoortega.com. A regulation requiring California drivers to give bicyclists a buffer zone of at least 3 feet while passing in traffic went into effect Tuesday. Drivers who violate the zone face a fine of $35. If a collision occurs, the fine can escalate to $220. Tuesday’s regulation specifies the 3-foot buffer zone; the safe space required was not explicitly demarcated before Tuesday. Cyclists are legally allowed to use a full traffic lane on California roads, but must follow the same laws as cars, including stopping at red lights and stop signs. There were more than 150 bicycle fatalities in 2012, an increase of 7 percent from 2011, according to the California Highway Patrol. There are 24 U.S. states that legally require a 3-foot buffer zone for bicyclists. Bicycling has increased in the state by 50 percent since 2000, according to the California Bicycle Coalition. There is a video at that link, too. Of course, there are some Orange County streets (we can think of stretches of Pacific Coast Highway that allows for on-street parking, for example) where there isn’t enough room to put three feet between a bike and a car. But Everyone could benefit from a reminder to be mindful of cyclists and obey all traffic laws when it comes to pedestrian and bicycle safety. That’s especially true in neighborhoods where many of the bicyclists are children. Edited: See comments below. We did not mean to imply that drivers should ignore the law, but merely that we have concerns that the law will be ignored in those areas where it is most needed. We thank our reader for calling this to our attention. 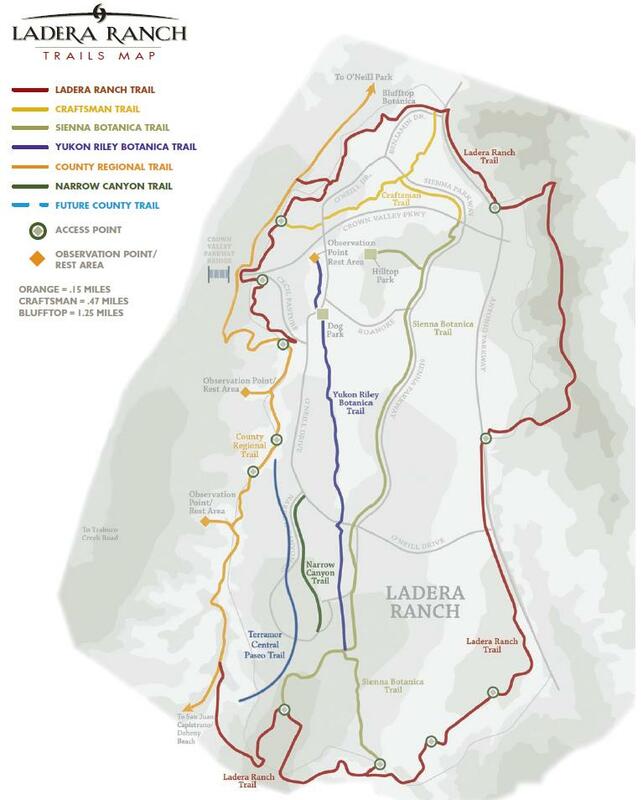 As a Ladera Ranch resident, I check your website every morning, and find it to be a great resource to our local community. This morning I see that you mentioned an issue that, as an avid cyclist, is close to my heart. I’d like to thank you for helping to spread the word about the new bicycle three foot buffer law, with the mention of it on your blog today. However, one point I wanted to comment on was your quote: “Of course, there are some Orange County streets (we can think of stretches of Pacific Coast Highway that allows for on-street parking, for example) where there isn’t enough room to put three feet between a bike and a car”. That situation is the primary example of where this law is needed, yet it seems as if you’re suggesting that drivers are free to disregard the law in those situations. This law isn’t really isn’t needed on the vast majority of roads in Orange County, seeing as we have dedicated bike lanes on most streets. However, where the law is very much needed is areas exactly like the one that you pointed out in your example. Cyclists on PCH are forced to ride in the right hand traffic lane due to both the lack of a bike lane, and the shoulder being occupied by parked cars. Unfortunately, riding in the far right hand side of the lane, mere inches next to cars parked on the shoulder of the road, isn’t a viable option either; when the driver’s door of one of those parked cars abruptly opens the cyclist can plow into the opened door, or swerve around it into the path of faster moving vehicles. Because of this, cyclists need to keep a safe three foot buffer space between their bikes and the parked cars, to allow for the unexpected door openings. In a perfect world all car occupants would take the time to turn their head and check if it’s safe to open the door, but speaking from experience I can safely say that rarely happens. The law states that a car occupant who opens their door and causes damage or injury is at fault, but that doesn’t matter much to the cyclist laying dead in the street. So hopefully I’ve shed some light on why bike riders are forced to ride in the middle of the right hand lane while riding in places like PCH, and why this is the exact situation where this new law is needed the most. When a car traveling in the right hand lane approaches a cyclist riding in the middle of that lane, for the reasons we just covered, it is obviously not acceptable (and now illegal) for the car to try and squeeze by in the same lane. The car needs to change lanes and safely pass the cyclist, just as you would for any other slower moving vehicle in your lane (bus, truck, tractor, etc.) that was ahead of you. If you can’t change lanes in time then you must decrease your speed, stay behind the cyclist, and then change lanes when it’s safe to do so, just as you would if there was a slow moving bus ahead of you… There is no difference between a car, bus, truck, bicycle, or motorcycle according to the law. In closing, let me ask you this: If you were driving your car in the right hand lane of PCH and you approached a police motorcycle traveling less than half your speed in front of you, would you maintain your speed and try to squeeze by in the same lane, inches away from him? Of course you wouldn’t! So why in the world would you ever think that it’s even remotely acceptable, or legal, to do the same thing to a bicyclist? Thank you for your time, and for hopefully having an open mind to try and see things from the point of view of a fellow road user and vulnerable cyclist. A cyclist who is an upstanding citizen, a husband, a father, and a person who does not deserve to be killed by a car driver who can’t seem to spare a few seconds to slow down and wait until it’s safe to pass. I do have concerns about the effectiveness of this law in areas where there are narrow streets, heavy traffic and heavy cyclist use – like PCH. But that’s because I fear the law will be ignored and therefore ineffective, not because I believe, as you imply, that an “upstanding citizen, a husband, a father, and a person [deserves] to be killed by a car.” I know there are a lot of bad, unattentive drivers out there on the road, but I’m on your side, Greg. To correct this misunderstanding I will modify the article to remove the objectionable statement. Thank you. I too feel that the law will have little effectiveness, just as the no hand-held cell phone while driving law doesn’t seem to have made any difference, but if it saves one life then it’s worth it. Also, my comments were more directed to any of your readers who might happen to see my comment, just to try and get people (drivers) to see things another from point of view, and weren’t specifically directed towards you at all. Thanks again, Greg, for reading and for bringing this issue to our attention. Be careful out there.